Thanks Gretchen who sent me the name of the original designer of this pattern. The name she has is "Marion Roggow, of Athens, Michigan"
I absolutely love this pattern... makes up quickly and it really works. Copyright- you may make potholders from Bev's version of this pattern, and sell them. Please tell people where you found the pattern. Size G or H hook, 1 regular skein 4 ply worsted weight kitchen cotton yarn like 'Lily Sugar 'n' Cream' brand. 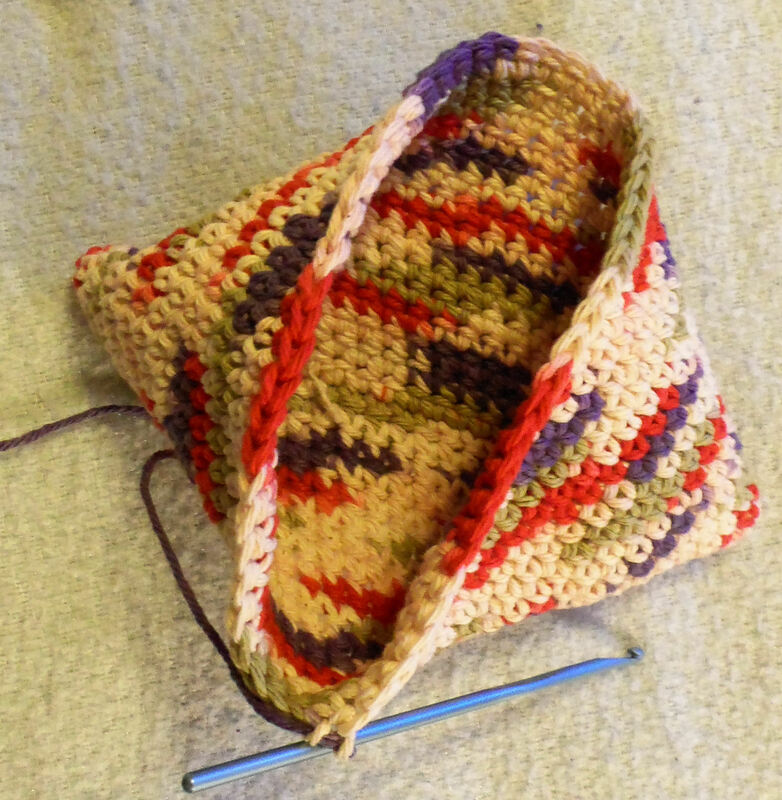 Rnd 2-16: sc down one side of the potholder and back up the other side (in both loops of each stitch). Just crochet around and around and around. 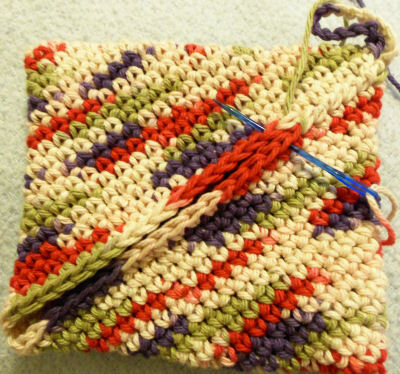 (Picture 1) This potholder looks really odd and turns in on itself. (Pictures 2 & 3) Eventually it will form a square that you can whipstitch together at the open seam! (picture 4) When you have formed a square-- about 16 rounds, ch 20 at the top, to form a loop-holder. 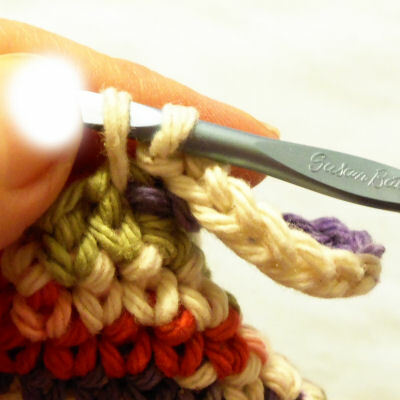 Slip stitch & join it where you started the chain. Cut yarn, leaving a 12" tail. (Picture 5) Whip stitch a seam going through both loops and matching stitch for stitch to close. Make them in different colors for the holidays too. 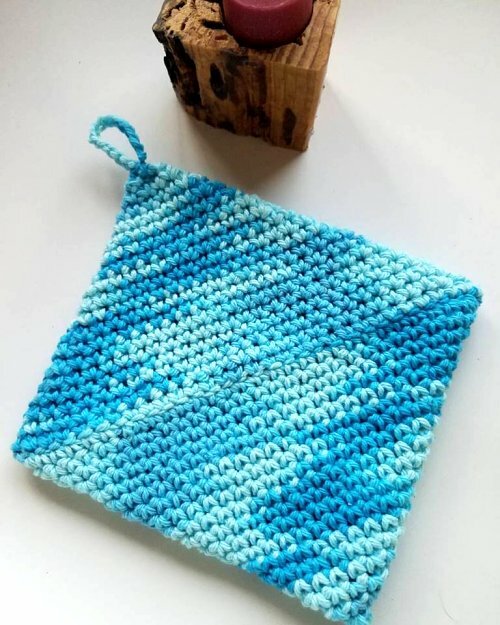 Terrific gift because these turn into the best potholders out there! Bev's Country Cottage pages Copyright Beverly A. Qualheim - All Rights Reserved. All content is copyrighted to original creators. 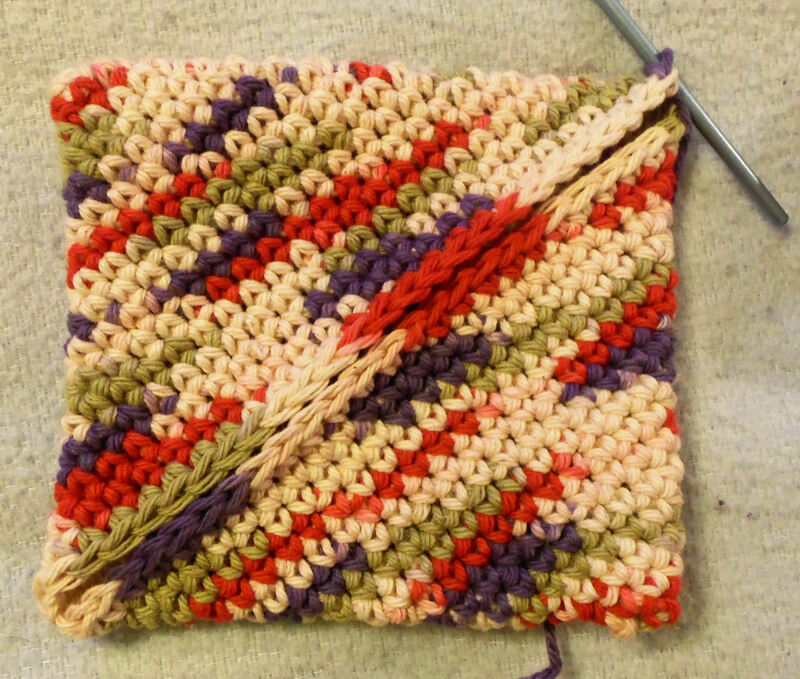 Do NOT post this pattern in its entirety, or any on Bev's Country Cottage on any media BUT you may LINK to it. You may print out copies of pages for yourself, or for charity; please send your friends here. You may sell items made using patterns copyrighted to Beverly Qualheim.